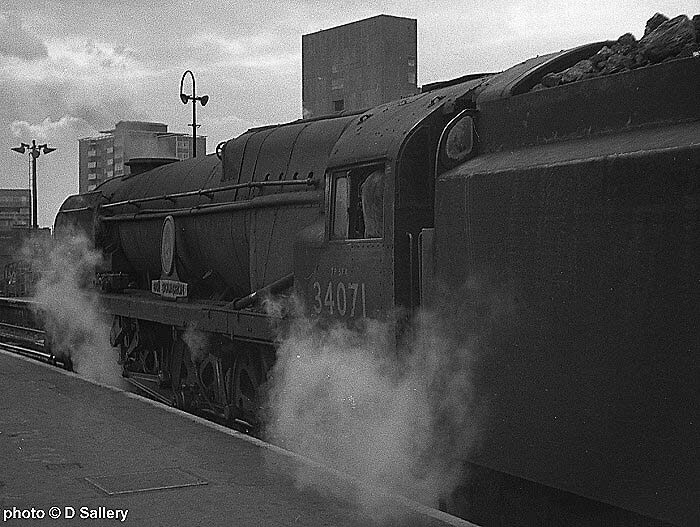 34071 "601 Squadron" is ready to head an express West. 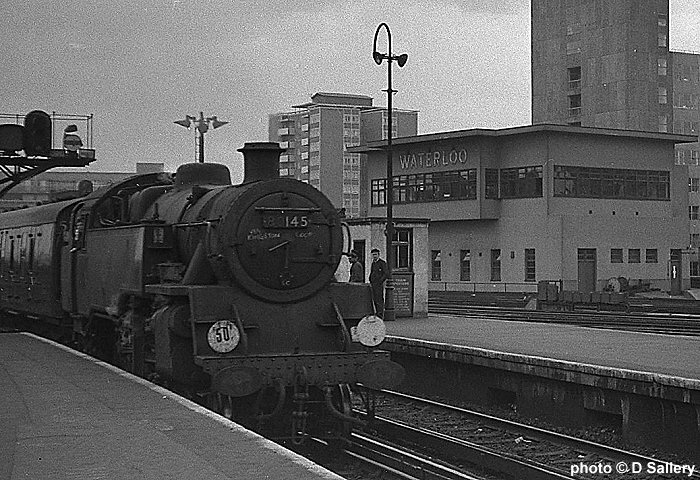 35026 "Lamport & Holt Line" on a Weymouth bound train. 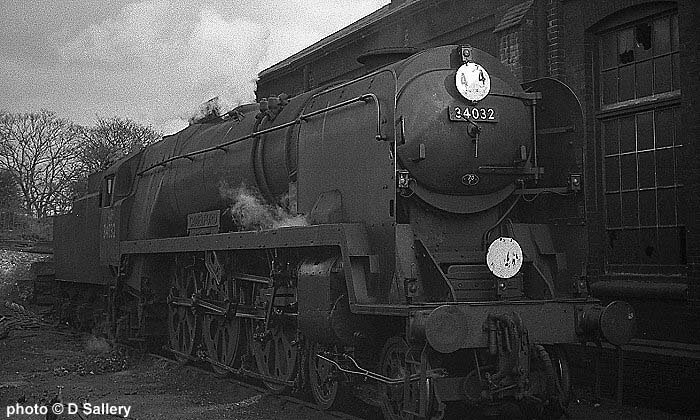 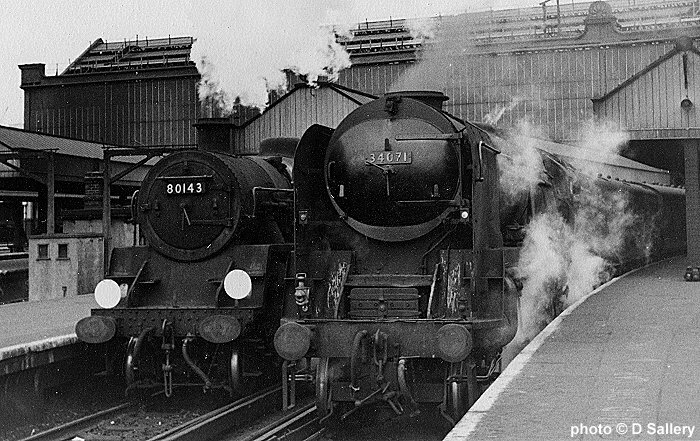 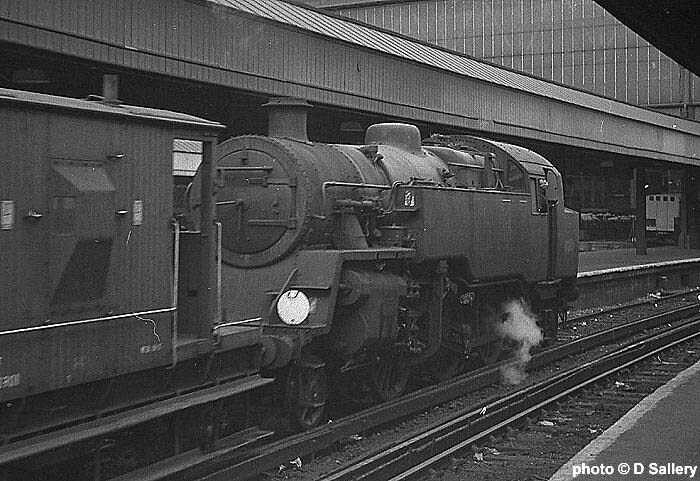 Empty stock and station pilot duties were undertaken by BR 2-6-4 tanks. 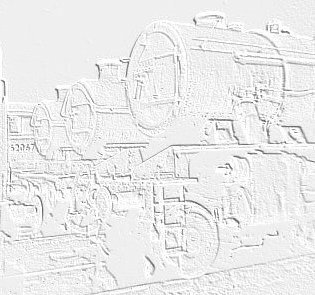 80145 above and 80146 below. 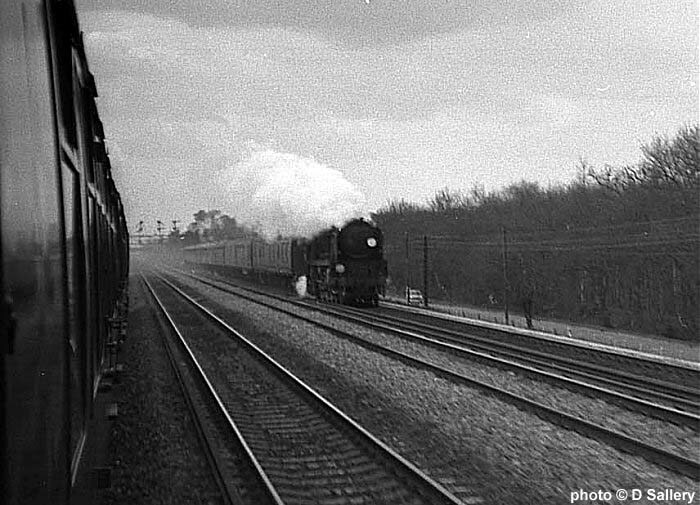 Passing a Waterloo bound express between Farnborough and Basingstoke. 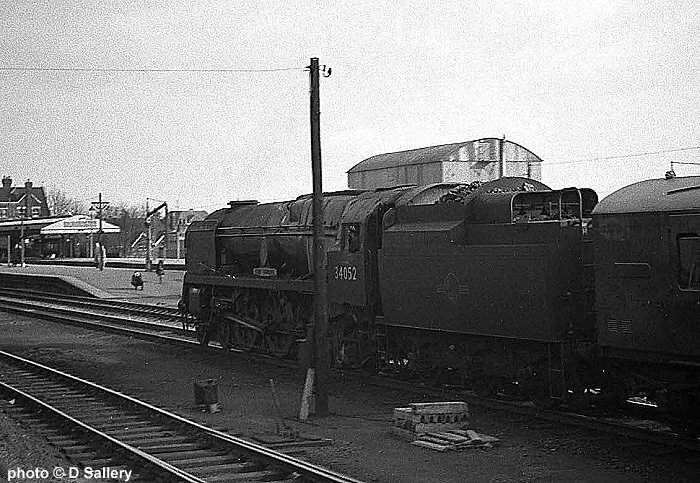 34032 "Camelford" on shed, March 1966. 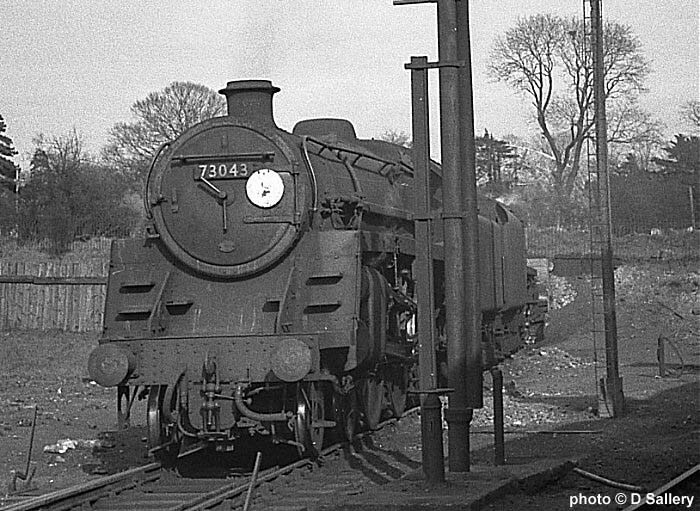 73043 on the ash pit road, March 1966. 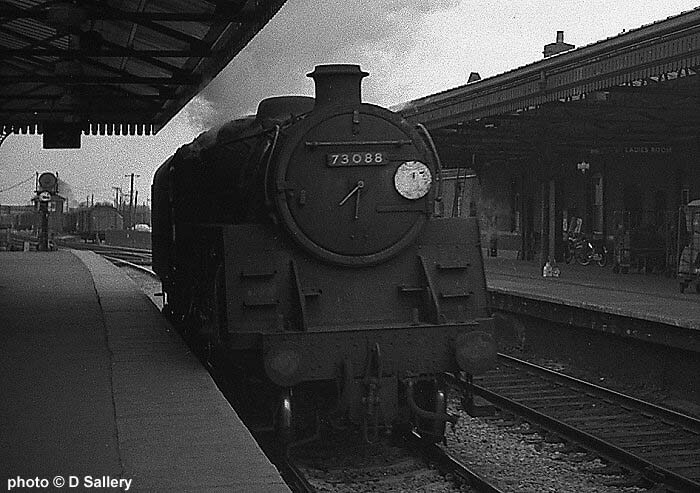 73088 "Joyous Gard" passes through the station. 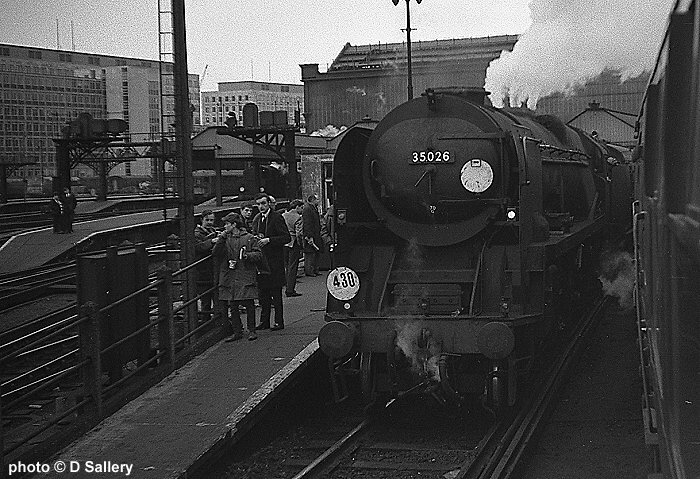 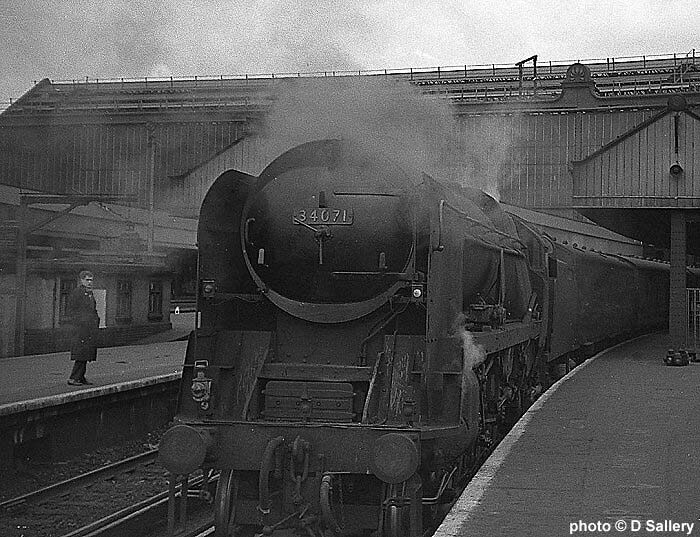 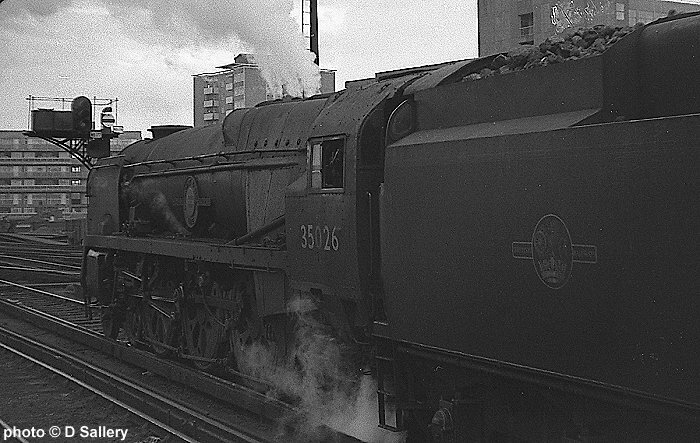 34052 "Lord Dowding" enters Basingstoke station on an up express.